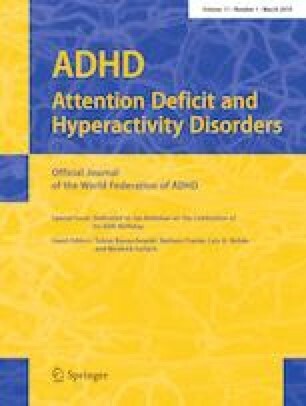 The role of the circadian system in the etiology and pathophysiology of ADHD: time to redefine ADHD? Attention-deficit/hyperactivity disorder (ADHD) is highly associated with the delayed sleep phase disorder, a circadian rhythm sleep–wake disorder, which is prevalent in 73–78% of children and adults with ADHD. Besides the delayed sleep phase disorder, various other sleep disorders accompany ADHD, both in children and in adults. ADHD is either the cause or the consequence of sleep disturbances, or they may have a shared etiological and genetic background. In this review, we present an overview of the current knowledge on the relationship between the circadian rhythm, sleep disorders, and ADHD. We also discuss the various pathways explaining the connection between ADHD symptoms and delayed sleep, ranging from genetics, behavioral aspects, daylight exposure, to the functioning of the eye. The treatment options discussed are focused on improvement of sleep quality, quantity, and phase-resetting, by means of improving sleep hygiene, chronotherapy, treatment of specific sleep disorders, and by strengthening certain neuronal networks involved in sleep, e.g., by sensorimotor rhythm neurofeedback. Ultimately, the main question is addressed: whether ADHD needs to be redefined. We propose a novel view on ADHD, where a part of the ADHD symptoms are the result of chronic sleep disorders, with most evidence for the delayed circadian rhythm as the underlying mechanism. This substantial subgroup should receive treatment of the sleep disorder in addition to ADHD symptom treatment. We thank the Editorial team for the invitation to contribute to the special issue in the celebration of Prof. Dr. Jan Buitelaar’s 65th birthday. All authors have contributed to the manuscript and approved the final version. MA reports options from Brain Resource (Sydney, Australia), is director and owner of Research Institute Brainclinics, a minority shareholder in neuroCare Group (Munich, Germany), and a co-inventor on 4 patent applications (A61B5/0402; US2007/0299323, A1; WO2010/139361 A1; WO2017/099603 A1) related to EEG, neuromodulation, and psychophysiology, but does not own these nor receives any proceeds related to these patents; Research Institute Brainclinics received research funding from Brain Resource (Sydney, Australia) and neuroCare Group (Munich, Germany), and equipment support from Deymed, neuroConn, and Magventure; however, data analyses and writing of this manuscript were unconstrained. The other authors report no conflicts of interest.